well, through SIM and Flying Mission. David and Sally went to Botswana under the auspices of AEF. 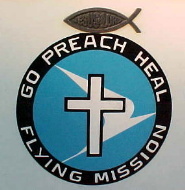 David, a retired USAF pilot, serves through "Flying Mission" a related organization providing air support to missions and missionaries, as well as medical support. 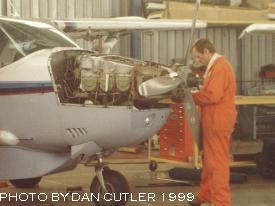 Shortly after they arrived in Botswana AEF and SIM merged. The Lotts now serve under SIM and Flying Mission. The Lord has now led them to Zambia. In 2006 all but Gordon traveled back to Africa after a year in the States and began their transfer to Lusaka, Zambia. Gordon began his college career as a freshman at Virginia Tech. 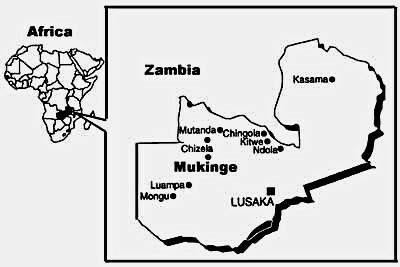 After arriving in Zambia the family spent some time in a remote native village and in January of 2007 began life in their new housing in Lusaka. 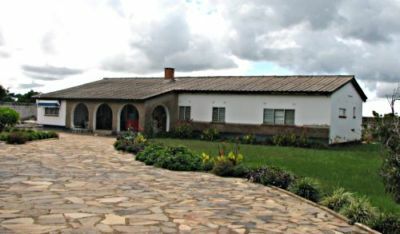 At this point we have only a few pictures of this house and very little information about their new life and mission. Watch this spot for NEWS! the Lotts' First Christmas in Zambia. 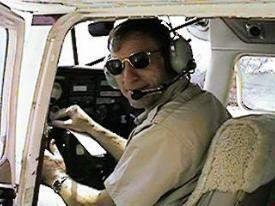 HERE ARE PICTURES OF GRANDPA & GRANDMA LOTT'S TRIP TO BOTSWANA, MAY 2000. In 2004 Tom and Esther were privileged to visit the Lotts in Botswana. It was a great time! "The Walking Windsock") doing just that. mission run across the desert.